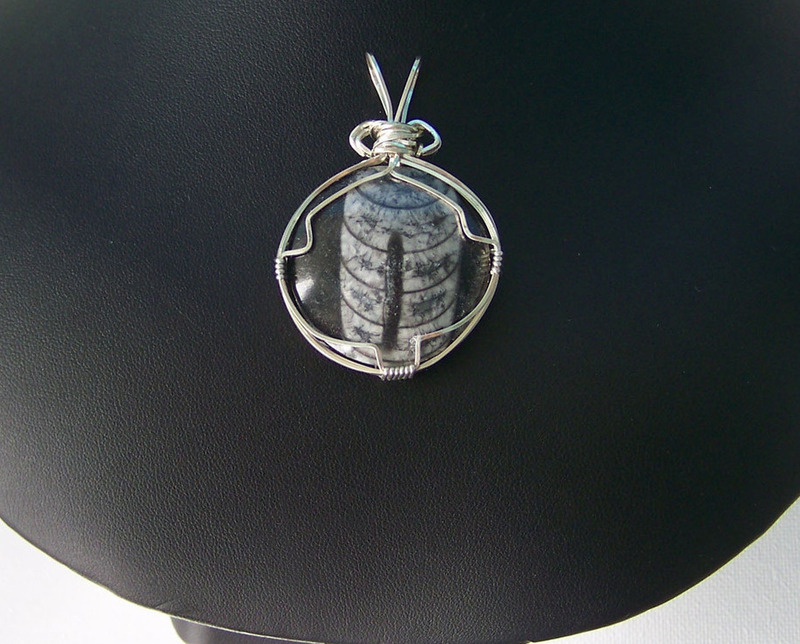 .925 Argentium Sterling Silver Wire Wrap Pendant with a Round Fossil Stone. This is so cool and unique guy's or girl's could wear this. This measures1 3/8" x 2 1/8" and the wire is 21 gauge wire. This could be worn on anything from a leather cord to an omega. Definitely one of a kind.